‘WISTERIA’ by Bisi Leyton / $25 Amazon Gift Card Giveaway! Attention YA Paranormal Romance book lovers! Check out ‘Wisteria’ by Bisi Leyton. The eBook is set to release on www.Amazon.com the end of August! Seventeen year old Bach, from a race known as The Family, has no interest in human affairs. He was sent here to complete his Great Walk and return home as a man—as a Sen Son. The Family regard humans as Dirt People, but Bach is drawn to this Terran girl, whom he has never seen before, but somehow knows. Enter to win a $25 Amazon Gift Card via the Rafflecopter entry form below! Open worldwide, 18 and over. Giveaway ends on August 15, 2012 at 11:59 pm EST. Good luck! I learned that Towering Pines Volume One: Room 509 is the first novel in the Towering Pines series. I learned it is a young adult paranormal mystery series. Thanks, I was worried the cover was too dark. I loved the surround yourself with allies and avoid the haters in her things she’s learned about independent writing! This looks like a good paranormal zombie book! I learned that Book Junkies is a great site for writers. I learned that Bach is able to survive among the hordes of living dead – which makes me wonder how! I learned that Paranormal Romance Guild is a great place to meet and hang out with writers who are serious about self-publishing or independent publishing. Yes – Paranormal Romance Guild is amazing. Great place to network. Yes – I took part in that indie holiday as well! I learned that if you’re a new indie writer, there are 3 types of Facebook groups to avoid: the graveyards, the spam lot and the i’m-so-great group. Note definitely taken! I will watch out for those!!! They sound worse than flesh eating biters. I learned that a plague turned 80% of the world’s population into flesh-eating zombies! Eric is 18 years old. I never really thought about women being zombies! I have been proved wrong!! I learned the character Enric is 18 years old. The Brotherhood of Piaxia was released on March 15, 2012 and it is an epic fantasy. I learned that this is a new YA paranormal book coming out soon! Very enticing cover. Thank you for the compliment. I am glad you like the cover. Thanks for the compliment. I am glad you like the cover! 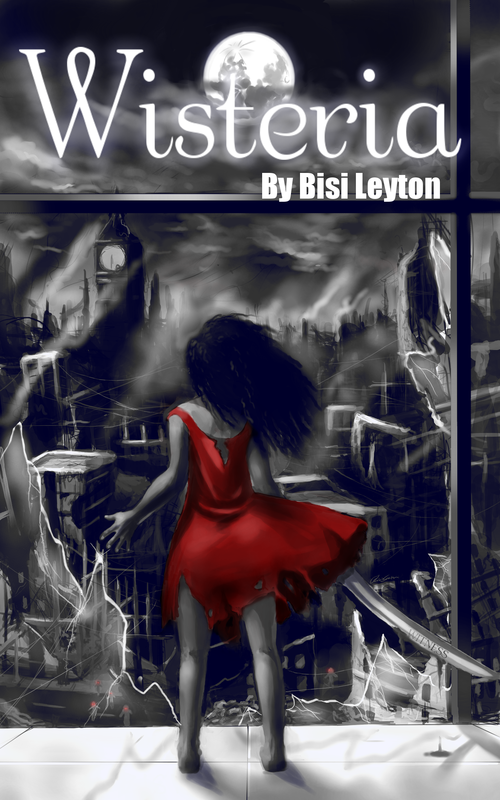 I learned that Wisteria is Bisi Leyton first novel and will be out soon. I learned she was 18 years old. Very interesting site! Enric has to do a rite of passage called the Great Walk. i learned that Wisteria will be out in August 2012. I didn’t know Biters were infected by The Nero Plaque and then became flesh eater! Yuck! Thanks for taking part. If you have some time, please check out my FB page or blog. Let me know you think. I learned that the author writes character interviews, which I’d never heard of before. It’s a fantastic idea, though. I think it will draw a lot of people more closely into the story. That was my hope. I wanted do something a little different. Surround yourself with people who think you can succeed. Yes, this might sound like you’re deluding yourself with a crowd of yes women, but you’re a writer, you’re supposed to delude yourself. Never underestimate the power of your cheerleading section. You can send me an email and I’ll let you know when the ebook is out. I love the character interviews. I have never seen this before and it gives you so much insight into the characters. I learned that I am not the only one that can get so envolved in a book that you feel you are a part of it. Wrong book I meant Wisteria. The same aplies. I hadn’t heard of this book or the author..so I was glad to read it’s a paranormal zombie series. I learned tha the author is only sixteen. Wow!! i learned that a lot of the readers want to know more about one character in particular … Alex .. it makes me want to read all about him ! Wisteria is set three years after a sort of zombie apocalypse – the Nero Plague has turned 80% of the world into zombies. I love character interviews/behind the scenes with them, JR Ward is one of my favs and she did alot in the BDB Insiders Guide and I really appreciated the books even more. When I read the characters become real to me in a way-my friends/enemies, I laugh, cry, and yell with them, so extra insight into their lives and personalities is wonderful. I was unfamiliar with the book, but now I plan on reading it just because of Alex, I have the inside scoop-lol, I won’t get frustrated by the storyline. I learned that according to the book, three years after the Nero Plague turned 80% of the world’s people into flesh eating zombies, most humans barely understand what is happening around them. I learned that this is a fascinating and very appealing YA Paranormal Zombie series! Alex is a favorite underdog. I found it interesting that she was surprised at how the readers become so attached to the characters. I love to read, and I usually identify with at least one of the characters. I learned that this is a young adult paranormal mystery series. I learned its a YA book, and very exciting for them to read. I learned that the blog has a lot of good valuable info and that the book is a paranormal book with a good cover. Joannies, it is okay if I email you when Wisteria is released? I learned the author did an interview with “the boy she left behind”. I thought that was pretty cool. The book or the world taken over by zombies? /$25 Amazon Gift Card Giveaway! In Response To Your Requirement Of Letting You know something you learned or found interesting After Visiting The Book Site. A Young Adult Paranormal Mystery Series. I Had Never Heard Of This Author Before. Thanks For Having This Giveaway!!!!!!!!! Thanks for the note. I’m a new author and this is my first novel. I learned Wisteria will be out in August 2012 and by the way I love the art on the book cover very nice! I learned that “The Others” take sick pleasure in watching. 80% of the world’s population was turned into flesh-eating zombies by a plague. I love the character interviews on this blog. Very neat concept for a post! I was hoping for something different, but hopefully interesting. Learned she is running a contest on her blog as well. One thing I learned is that there are several facebook groups devoted to indie writing, including the Book Junkies group. I learned that is it now available on Amazon for $3.50 for the Kindle version! I learned that this is a paranormal series! Enric is 18 years old. I learned that this is a paranormal zombie book. Nice btw thanks. I learned that the character Enrich is not a human.They are not called anything but the family. I learned that the ‘Family’ are not like humans & they absorb a lot of knowledge very early in life. I learned that Enric comes from a region of white mountains. learned that it is a titillating read. I learned it’s a Paranormal Zombie series with is extremely intriguing to me!!! I learned that Steve is like a cockroach and this is a good read.